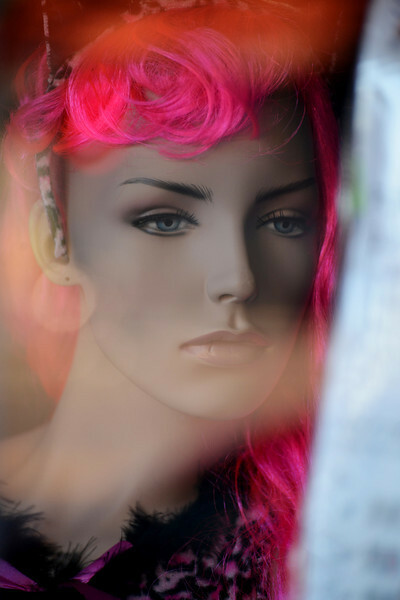 I photograph mannequins as I find them in storefront windows and try to capture them in the most flattering way possible. I treat them as human beings with names and histories that have led them to their places in the windows. When I see their blank expressions, I imagine that my subjects have run out of options and now find themselves forever doing window work. (Certainly a step below catalog work.) They stare out their windows letting the world look at them, never acknowledging that they see us, distancing themselves from everyone who passes by.